We’re excited to announce our 2013 special release date! 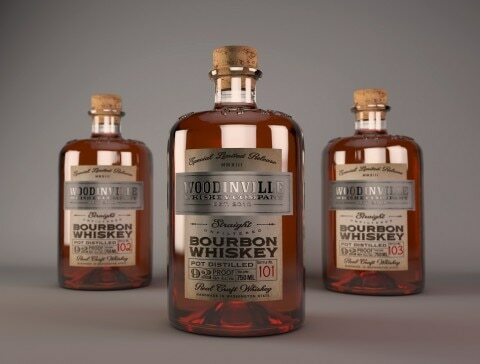 On Saturday, December 7th, 2013 we will be releasing our “2013 Limited Collector’s Edition Bourbon.” This special release will be the first 5 barrels of whiskey we ever made at Woodinville Whiskey Co. We have 207 bottles of a bourbon that has rye as the flavoring grain, and 388 bottles of bourbon that has wheat as the flavoring grain. It has been aging in standard sized barrels for almost 4 years. This collector’s edition bottle features a custom pewter label and custom display box. Doors will open at 7am and we’ll have coffee and doughnuts for all at 6am. The retail price for a 750ml bottle including all tax is $149.95 with a limit of 1 bottle per person. Thanks and we look forward to seeing you! Whats the chance of getting one of these shipped to Ohio? I have a Bourbon bar and I would love to have that on my shelf. Unfortunately we’re not allowed to ship due to our state laws here in Washington. Will this release be at the new location or old one? Any chance for us international non-locals? Unfortunately we cannot ship our spirits. If we drive over the pass and are there by 6 what is the chance we will get one? In years past we’ve had a good lineup by that time, but not 600 deep, so you’d probably be ok. If your first in line do you get bottle number one? If your first in line do you get bottle 1 from barrel 1 from batch 1? Yes, first person gets bottle 1. They will be given out in order of the line. Look forward to seeing you. Can you pay for the bottle over the phone and have someone pick it up for you? If we have any bottles left after Saturday this might be possible. Otherwise the person would need to be in line on Saturday. I called this morning to see if this was possible. The lady who answered said no, that all purchases must be made in store. Please let me know if this can be arranged. Any word on the 2014 release?